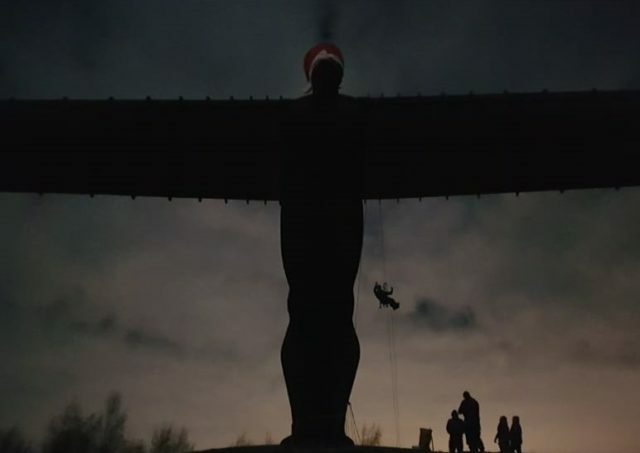 A group of festive pranksters who placed a Santa hat on top of the Angel of the North say this was their seventh attempt to pull off the stunt. Passers-by expressed delight to see the festive gesture atop the 65ft Antony Gormley sculpture outside Gateshead. The group, who have asked not to be named, told the Press Association they are delighted by the response, having prepared meticulously for the occasion for several years. “We really wanted to do something people might find uniformly enjoyable, something that might bring people together,” one of them said. Previous efforts have been held back by a string of problems including windy weather and a broken-down car. Their first attempt saw them scale the structure only to discover their hat was too small to fit. The 10-person operation began in the early hours of Christmas Eve and featured a sophisticated effort involving ropes and fishing lines. “Ten of us, five different vans, everyone had a bit of something in the back of their vehicle,” one of the group’s leaders said. “We all filed out like paratroopers, everybody knew what their role was. One member said he spent £90 on fabric to create the hat, sewing it all together with the help of his girlfriend and his grandmother’s sewing machine. “Someone on Twitter said it’s just a couple of drunk kids,” he said. The ten person operation required meticulous planning. 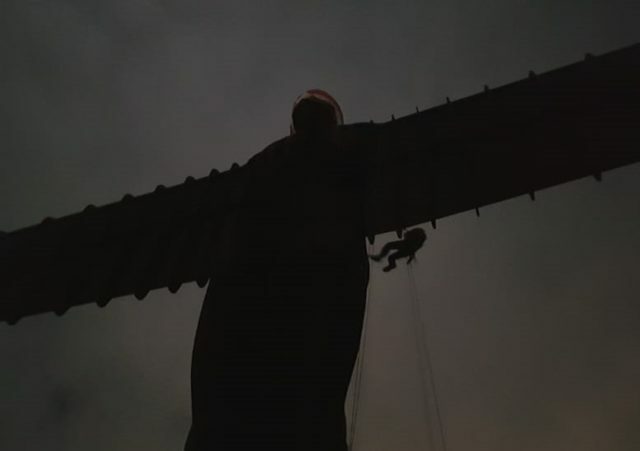 Gateshead Council has yet to speak out on the stunt, while Tyne and Wear Fire and Rescue Service and Northumbria Police have declined to comment. “We will take it down if it’s still there after a certain time, and we are eminently qualified to do it,” one of the group said.